What is so special about BactoBeads™? 1. BactoBeads™ are easy to ship to your school and store in your classroom. 2. BactoBeads™ are stable for a full school year, unlike perishable slants and plates that spoil in 3-5 days. 3. 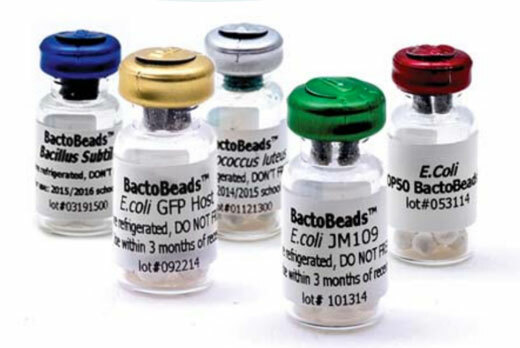 BactoBeads™ are instantly soluble in water, Luria Broth or any other microbial growth medium. 4. Since BactoBeads™ can be stored in the refrigerator, there is no requirement for a freezer. How do I culture microorganisms in my classroom? First, the microbiological culture media (either liquid or solid) is prepared. The culture medium provides all of the water, food, vitamins and minerals required for microbial growth. It is sterilized to prevent the growth of unwanted microbes. After the sterile culture medium is inoculated, the culture incubated overnight to allow for cellular growth and division. Liquid media is used to grow large numbers of microorganisms for plasmid or recombinant protein purification. One BactoBead™ can be used to inoculate 10 – 1000 mL of a liquid culture medium (like Luria Broth). The culture is incubated overnight at a temperature appropriate for the microbe (usually 30°C – 37°C). Solid media is used to isolate single cells. When the microbes are plated on a solid surface, each cell gives rise to a visible mass of cells called a colony. A single BactoBead™ is carefully streaked across a nutrient agar plate to produce individual colonies (see pg. 2 for detailed instructions). The culture is incubated overnight at a temperature appropriate for the microbe (usually 30°C – 37°C). To see this process in action, check out our Instructional Video! 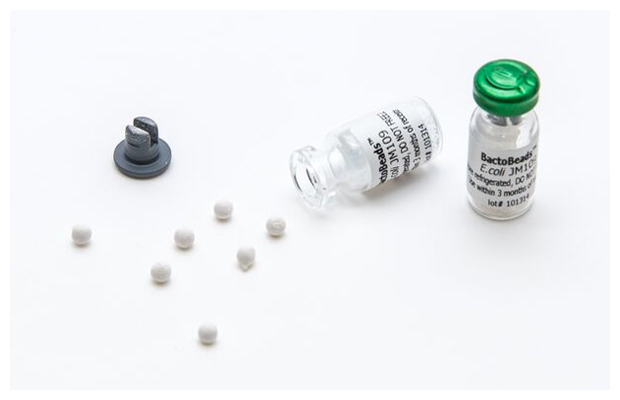 BactoBeads™ are included in many of our kits at no additional cost!